We will definitely recommend United Stone to all our friends! Thanks so much to Kemal, Kaan and your terrific team of workers, Bora and Bex. You did a fantastic job on the stone quartz benchtops and splashbacks in our kitchen. It looks great and was long overdue! A beautiful product and we love the sparkles! The boys were so efficient, respectful, on time, cleaned up after they finished, so we will not hesitate to use the company again for any further renovations. Thanks. We had our kitchen bench tops overlayed and the result looks fantastic! Kemal and all at United Stone Melbourne are to be commended for their professionalism; the process was seamless from quote to installation. I highly recommend United Stone Melbourne. The finished product uplifted my house beyond belief. These boys are professional, friendly, and very transparent in the way they do business. Will use them again and refer my friends to their services. Our kitchen and bathroom bench tops and splash backs now look sensational. Highly professional systems, procedures and skills along with first class quality products ensured excellence from quote to installations. Our thanks to Kemal Efe and his team at United Stone Melbourne. Wow! My wife Anne and I could not be more pleased with the attention, care, customer service and the final outcome with our Bench Tops. We are so pleased to have come across United Stone Melbourne who completed the renovations with such professionalism. It was a pleasure to deal with them from quote to installation-being kept updated on their every move. Thank you Kaan and Oz, Kemal, Ali, Bex and Bora for transforming our kitchen to just what we wanted. It was a pleasure to deal with you. We will recommend you to our friends without hesitation. Amazing team you have who are all professional and on the day all were on time. Hi Kemal & Team, just would like to thank you and all your team for our new stone bench tops we had recently done. Your workers Bora and Sulo along with plumber David were absolutely a funny team to be around. A big thank you to your electrician Ali and his team for all the electrical work and pop up power points. Amazing work and will higly recommend you. Also not forgetting Kaan for excellent service as well. 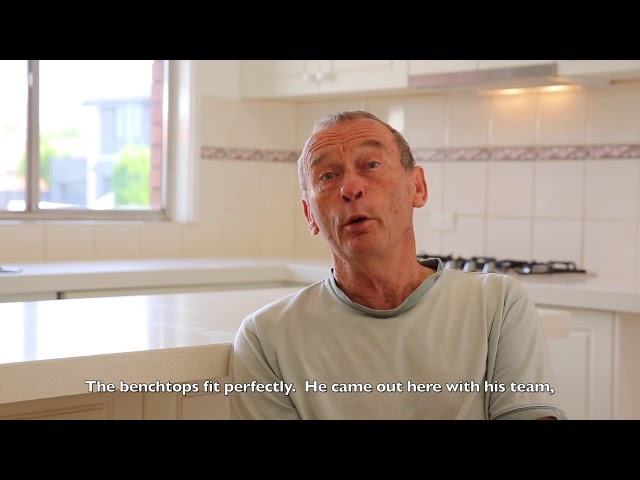 Yesterday I had my new bench top installed… what can I say….. I lovemy new sparkly benchtop! I have been doing Renovations for a few years now and worked with different products – I am quite overwhelmed at how beautiful the benchtop looks, it has turned out to be the prettiest thing in my entire home. Kemal was wonderful to work with and the boys on the day of the installation were efficient, respectful and did an outstanding job! Am definitely going to use this company again for my future renovations … three thumbs up to them! We had our kitchen work tops updated to stone, the boys done a great job kitchen looks great, the boys were friendly quick and clean. Our big thanks to Kemal Efe and his team at United Stone Melbourne for a great job on our kitchen and bathroom makeover. Product, price, customer serviceand workmanship were 10/10. We are 100% satisfied. Our dealings with you guys have been most pleasurable and we would have no hesitation in recommending your service. Just had our kitchen overlaid and stone splashbacks, great job, superb uplift to our kitchen decor. United Stone answered all my questions and requests, nothing was a problem for them. I could see the professional expertise on display as they did the installation. Well done United Stone, you not only did a great job, but also at a great price. Very professional and expertly done. We can’t fault one thing. They organised every workman needed to be there at the right time. Have had the bench top overlay, recommendedsink and tap, and glass splashback. All the guys were professional, on time and really, really nice people. Just wanted to let you know my kitchen and bathroom look amazing very very happy! Your staff were great ( THE A TEAM) as they call themselves and the plumber was also great have already passed on your number to a girlfriend with high recommendation. We would like to thank you and your team (Dennis & the installers) for a great job. We will be passing on your details to a mate (Arger) and highly recommending your services. Hi Kemal & boys.We are extremely happy with our new makeover kitchen & laundry. Youwere all so efficient and professional.Our kitchen looks amazing.We are thrilled!Thanks again and we recommend you to everyone who wishes new quartz benchtops. Thank you Kemal for transforming our kitchen recently! We were blown away by the final product and couldn’t thank you enough for the amazing service. Thanks so much! Highly recommended. Professional, on time, clean and reasonably priced. Fantastic stone and great people. Big thumbs up from us. Great service from the moment we walked into the shop to final installation the benches look great. Thanks to all at United Stone very happy. Fantastic company to deal with.Kitchen renovation done very quickly.Extremely happy with the transformation of my kitchen.Can’t speak highly enough of the crew at United Stone Melbourne. Absolutely love my new bench top. A very easy process and the installers were fantastic. Highly recommend. These guys are amazing. Prompt service and have some great suggestions re: designs. We had bench tops, backsplash and kick panels done and it totally transformed our kitchen. Very pleased! Looks fabulous and has increased the value of our property considerably. The team is professional and efficient. StillLooking like the day it was installed 2 years later! I would highly recommend United Stone Melbourne and will definitely use them again for future projects. To the team at United stone, just wanted to say thank you for giving my kitchen such a great modern look. I love my new stone kitchen bench, well done!!!! So happy with my new kitchen. So quick and efficient. Thank You United Stone my kitchen looks amazing very professional team from start to finish would highly recommend them. Thank you United for the wonderful job you have done. The help given by the team to choose colours made our decision easier. And the end result is brilliant. Thank you very much to the entire team at United. Keep up the good job. United Stones: Got my stone splash back installed by them. On schedule no dramas . Good quality work and attention to details. Happy with the final look of my kitchen adding value to my open kitchen. Thank you guys! I highly recommend United Stone - what they did for our kitchen in only 4 days from my first phone call til the completion is just incredible. Delivered what they promised on time, provided high quality product and great customer service - Thank you for getting our kitchen sort out. Much appreciate! This is my Kitchen, and I couldn’t be happier with the result! I have been extremely impressed with how professional the team at United Stone have been throughout the whole process! From the initial Quote with Ilhan, to visiting the showroom where I was given a sample of the stone to take home and put on the old bench, to see how the light affected the colour throughout the day. To the measure up and installation of the new bench tops! You guys were an absolute pleasure to deal with and nothing was to much trouble! Ali and Adam are great Tradesman and did an incredible job of the install. Being a Tradie myself, I’m a bit of a perfectionist and I can’t pick a single fault with the job they did. Thank you United Stone for my awesome! new bench tops. Once again, I am thrilled with the result! To anyone thinking about upgrading to stone bench tops, I very highly recommend United Stone! These guys are professionals! By the way I have a couple more bench tops to upgrade in the near future, and you guys will be doing the job! Thank you very much. Extremely happy with my kitchen. I had an old outdated kitchen but with the stone overlay made it look brand new again. The guys were amazing and so helpful. 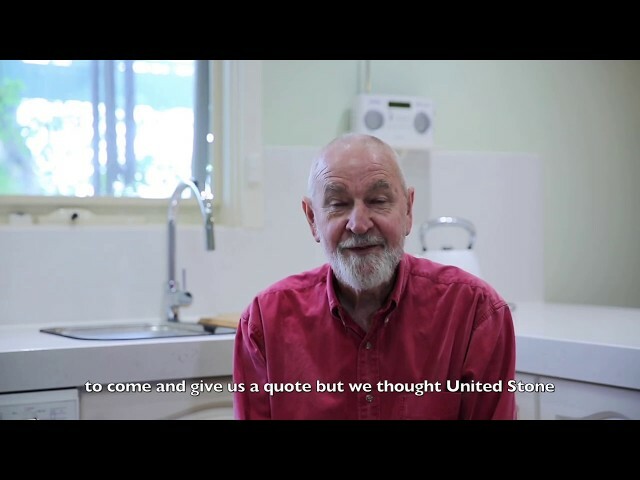 From the moment we walked into United Stone Melbourne, all we received was total professionalism, friendliness and so much knowledge in there product and the kitchen industry. The choices of stone was varied and well priced. Every moment of the process went smoothly from chatting to Kemal and Kaan in store and organising a quote and to Ilhan coming out for the quotation and Ali and the boys who come out to do the install, it was done within the day and the boys worked non stop , we couldn’t fault a single thing. Nothing was was a problem for these guys even when a slight issue arose it was dealt with quickly, And the result is amazing. Our is kitchen was absolutely stunning, it was totally transformed and we couldn’t be more happier with the final result. Kemal and Co we cannot thank you enough for all your help and guidance throughout this process. We could not recommend United Stone Melbourne highly enough! 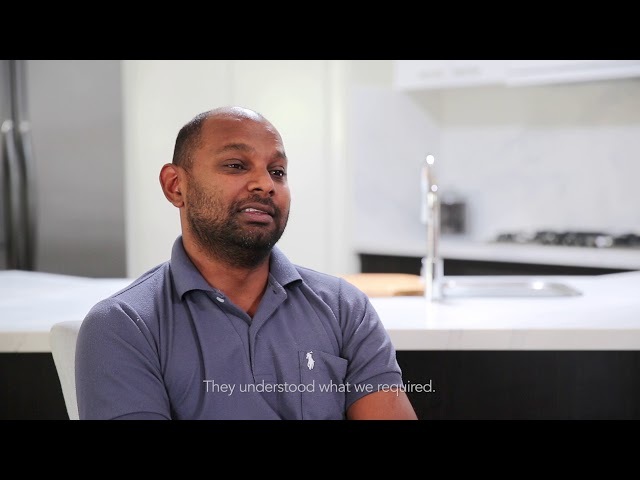 The new benchtops were installed in less than one day, with no disruption to the our day to day lives.We received great advice on choosing what stone would best suit the existing kitchen. High quality stone and workmanship.Have had many complimentary comments from friends regarding the look of the kitchen.Would thoroughly recommend. We are absolutely thrilled with our new stone bench tops and splash backs, it has completely transformed our tired old kitchen! Kemal and team answered all our questions promptly and it was a quick turn around from enquiry and quote stage to installation day! We received some very helpful advice on colours and sink options. We are extremely glad we chose the under-mount sink pack options as these have really added to the new modern look of the kitchen! The whole job was done within 5-6 hours on the day, and it was incredible to see the transformation appear before our eyes. The installers worked very hard, and were most professional. The tradesmen employed to compliment the work (Plumber, Electrician and Handyman) were all very prompt and worked well with the installers to have this all completed on the same day. We wouldn't hesitate to recommend United Stone for your kitchen transformation! Worth every cent! I have no hesitation in recommending United Stone Melbourne, they have been amazing in every aspect. From my initial conversation right through to installation day! My transformation has been a wow factor and couldn’t be happier. Thanks to Kemal and his staff for our new benchtop. Their customer service is fantastic and they work hard to ensure you are happy with the results. Very refreshing to encounter such professional service. Love our new benchtop, waterfall and sink! Extremely happy with my benches. Fantastic customer service, they respond straight away and the team are all very friendly. The process is very smooth and professional. Thanks so much to Kemal and his team and their patience. Highly recommend. I can't wait to do my kitchen!!! We just love our benchtops. Such great service. Friendly and very reliable staff. I have already recommended them to a couple of friends. I have used this company on multiple occasions, both for a commercial shop fit out and for a complete renovation of my laundry, powder room, bathroom, ensuite and kitchen and their communication, punctuality, attention to detail and follow up after the job has been incredible!I didn’t know that this premium level of service was still around in the trades until I met Kemal and his team!All their staff are on the same page and they are just spectacular to deal with!! !I highly recommend EVERYONE to look no further!!!! These guys add value to your asset! 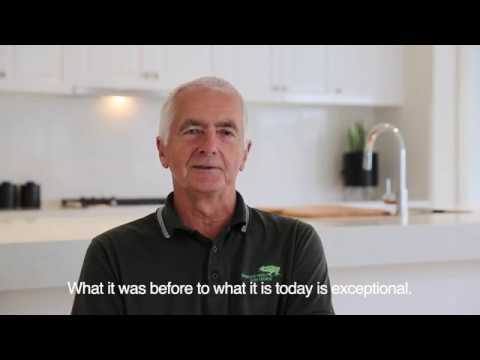 from the beginning when I met with Kemal Efe at the Dandenong South Showroom/Factory I felt I was in excellent hands.I was not disappointed yesterday when my stone bench tops were installed. The installers were competent, charming, and caring. The installation was carried out with expertise and professionalism. My property was left in perfect order and the result is outstanding. I am extremely happy with my new bench tops.United Stone Melbourne are a very professional no fuss company offering outstanding service and are a true credit to the craft of stonemasonry. Thank you. Hands down the greatest customer service, very professional, reliable and friendly. The quality of their stone and workmanship is also fantastic, absolutely wrapped with the finished product in my home. Great work guys! Absolutely amazed with my new kitchen and laundry benches and splash back. The team was super helpful through the entire process. Would highly recommend and will be using them again for future properties. Have completed a lot of renovations over the years. This is the first time I have used bench top overlays. Amazing service from start to finish. The boys who installed it were fantastic. Would recommend you to family and friends. Could not fault your service and workmanship. Wow! I can't stop admiring my new kitchen! Kemal has an amazing team. I knew I was in safe hands when they started. Ever so professional. Braved through every problem-solving during installation and left no mess. Thank you to the team at United Stone! United Stone Melbourne did a really great job with overlay of stone on our bench tops. The installers are very skilled in what they do. They were on time and only took a couple of hours to complete the work. My wife loves her new kitchen. We highly recommend this company. Very efficient process from start to finish. Lots of options to choose from. We are really pleased with the price and outcome, our kitchen has been modernised for a reasonable cost and looks wonderful. Thanks united stone. The team at United Stone did a fabulous job on my laundry and kitchen. The transformation was amazing, the attention to detail and workmanship was first class! The owner of the shop is nice and friendly to contact with, and the workers are the real get things done type, and work every aspect of the kitchen to perfection. The end product of the kitchen was absolutely mesmerizing and the efficiency of their workers and bosses are top notch, and don't delay things. The price is also very reasonable. Well done and thanks for making our kitchen look amazing !! Would recommend to anyone wanting to renovate their kitchen!! Dreams do come true. I can't believe the transformation of my kitchen with its new bench top and splash backs. It now looks so sophisticated. Thank you to Kemal and the team for both their efficiency and honest feedback on my crooked kitchen!. A very quick turn around from quote to completion. An amazing job Untied Stone, Melbourne.